The human body is an extremely complex machine, with more moving parts than any other machine, and hundreds of different muscles and joints that can go wrong. It is not surprising that occasionally the body cries out in pain or refuses to do what you tell it. Whether you are young or old, active or prefer to take it easy, there’s a strong chance that you could benefit from physiotherapy at some stage in your life. After all, over half of us will suffer from back pain during our lifetime. Fortunately physiotherapy is an effective way to treat many of our problems. Physiotherapy uses a variety of techniques to help your muscles and joints work to their full potential. Treatment can help speed up the healing process and reduce pain and stiffness. However, physiotherapists will also provide advice to help prevent your problems from returning or even occurring in the first place. Before any treatment is given, the physiotherapist will take a full history, assess your condition, diagnose the problem and help you understand what is wrong. They will explain any techniques to be used and develop an effective treatment plan. This will take into consideration your lifestyle, work and any sporting requirements. Treatment will also include advice on how you can help yourself, for example you may be shown exercises that you can do between treatment sessions. 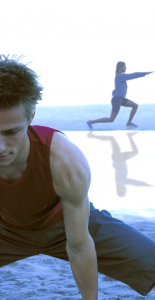 Exercise programmes – designed to improve mobility and strengthen muscles. Soft tissue mobilisation – to improve flexibility of muscles, adhesions and fibrous tissue – this can include scar tissue.